Blue Moutain, Ontario’s Premier Snow Resort, is getting a little greener. 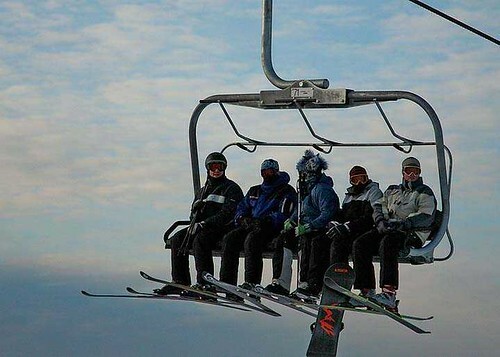 Located about 160km north-west of Toronto, just outside of Collingwood is some of the best skiing in Ontario. Providing reusable dishes and cutlery in lodges, which elimates 11,400 polystyrene containers! Extensive recycling program – in 2007 300 tonnes of materials were diverted from landfills. Blue Mountain employs several other conversational and innovative environmental initiatives. As a member of the Sustainable Slopes Initiative of the National Ski Areas Association. As well they are contributors to the environmental corner of the Ontario Snow Resort Associate. Skiing is a passion of mine, I believe it promotes a healthy lifestyle, brings people together and promotes an awareness of our environment. Skiing or riding promotes the third cog, the social element, in the triple bottom line perspective. I think the best snow resorts are the ones that can provide meaningful employment to the community and help to preserve our environment.